Sour Cream, don’t judge me! The checker at Safeway sure did. 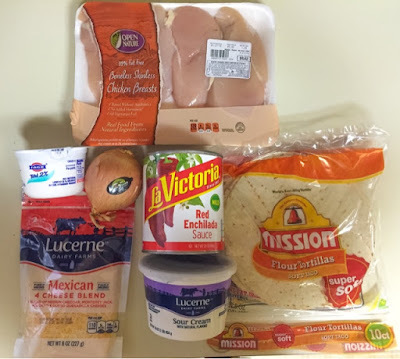 It didn’t help that he was Mexican and a self-prescribed cook of his household. 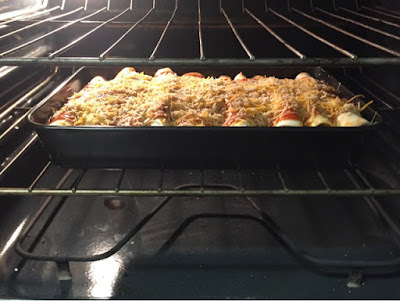 He saw the ingredients and said, “oooh, enchiladas!” To which I replied yes, but made the fatal mistake of telling him I was making “Easy Chicken Sour Cream Enchiladas,” to which he gave me a pretty gnarly look and laughed. He then questioned baking sour cream and told me, “good luck with that!” What a nice fella! 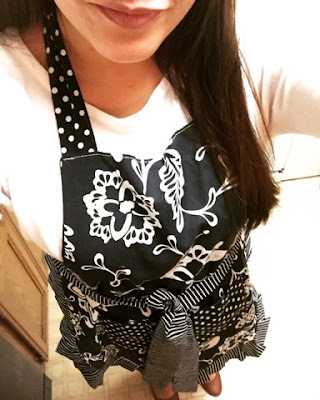 What he doesn’t know is that I’m just a girl trying to get better in the kitchen. I still follow recipes to a ‘T’ and I’m okay with that. Practice makes perfect and those who have to suffer through my practice still love me! So, hell YES, I use Pinterest to find recipes that I want to try and I make them, even if they require baking sour cream! I stumbled across this Pin, which lead me to Jill at Sandy Toes & Popsicle’s. 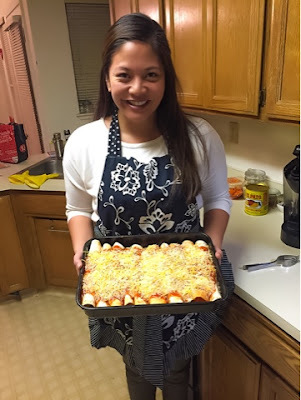 A little over a year ago she posted her recipe for Easy Chicken Sour Cream Enchiladas (Your Family Will Love). I love how bright her images are, my kitchen is not equipped for such amazing food prep photography. I don’t even care if they are staged — they are still bright, colorful, and very helpful. I even made it on a week night, look at that! It wasn’t that bad at all! Everything had to be made, no rotisserie chicken for us. My parents love those things, but I feel like they are pumped with sodium, even if they are really convenient. I stick with the boring skinless, boneless breasts. While I boiled the chicken I worked on getting a few things prepped and even doing some laundry. Anywho, it was fun making these while L did homework and J helped by making Spanish rice. Since everything was cooked, we didn’t need to bake them long, just enough for the tortillas to get a little crispy and the cheese to melt! Dinner is served! Kid approved! 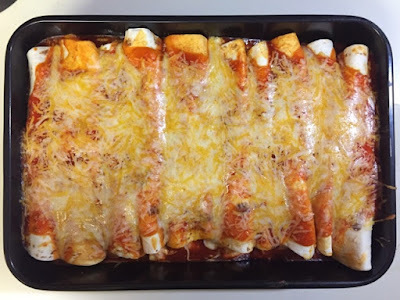 These are very non-Mexican, authentic enchiladas. But they are adaptable and I think a great basic recipe for anyone to try. I don’t think J or L even noticed I snuck in Greek yogurt instead of using all sour cream! Everyone liked them, well J had to add hot sauce and said there were too many onions, but he cleared his plate! 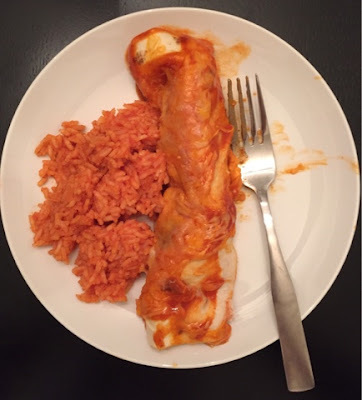 I should rename it, diary of ugly food photos (mine, not Jill’s)! !